Come join the SNHPC for our monthly new Pinmasters Pingolf tournament. Try out this new format and enjoy some world ranking points as it is an IFPA sanctioned event. This is the same format you might have seen run in Vegas at the nationals. It takes pingolf to a whole new fun level allowing from 1 to 10 strokes per hole as games are on 5 ball. Also finals are played over 3 holes, papa style using pingolf scoring. - There is a course maximum of 10 Pin-Strokes per Pin-Hole. Should you not reach the Target Score after playing five balls, your score will be based on how close you came to that Target Score. - 80% of Target = 6 strokes, 60% of Target = 7 strokes, 40% of Target = 8 strokes, 20% of Target = 9 strokes, <20% of Target = 10 strokes. - Extra Balls will be turned off wherever possible. For any reason if a player earns an extra ball, this will not be counted as an additional Pin-Stroke, but rather as a continuation of the current ball being played. 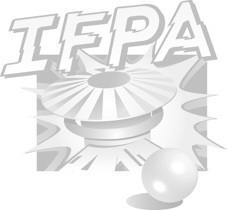 If you notice an extra ball awarded, please contact an IFPA official. - If a player passes the Target Score and continues to play subsequent balls of that game, those additional balls will be counted as additional Pin-Strokes on that Pin-Hole. - The player with the lowest score at a Pin-Hole takes the honor of playing first on the following Pin-Hole. The competitor with the second lowest score plays next and so on. If two or more competitors have the same score at a Pin-Hole, they play in the same order as the previous Pin-Hole. -Where possible ball save is disabled to speed things up. Finals will be top 4, who play 3 games with pingolf scoring.